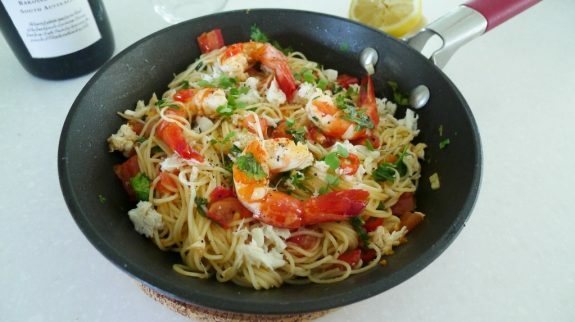 As much as I love cooking and practically live in the kitchen, I’m not particularly fond of spending hours over a hot stove in the height of summer… Naturally then, this 5 minute lemon prawn and crab spaghettini is one of my favorite summer meals. Not only is it quick, it’s also tasty, fresh and light. Additionally, the dish is great for using up any left over seafood (think Christmas time) and it can be easily adjusted to feed one or many. Other seafood, such as flash fried calamari or octopus can also be used. Cook angel hair spaghetti in a pot of boiling water for 3 minutes, or according to packet instructions. In the meantime, heat 1 tbsp oil in a small frypan. Add garlic and diced tomato and cook for 2 minutes. Add prawns to warm through. Using tongs transfer pasta straight into the pan and mix in with the sauce. Add lemon juice and season with pepper. Dot with crab meat and serve immediately. I’ve been looking for different ways to use up left overs..this is definitely going on the list. Glad you like it Sylvia! You can also make it with mayonnaise as a cold pasta salad. It’s just as yum. Oh how delicious and perfect for after Christmas when one doesn’t really feel like cooking! Love it. 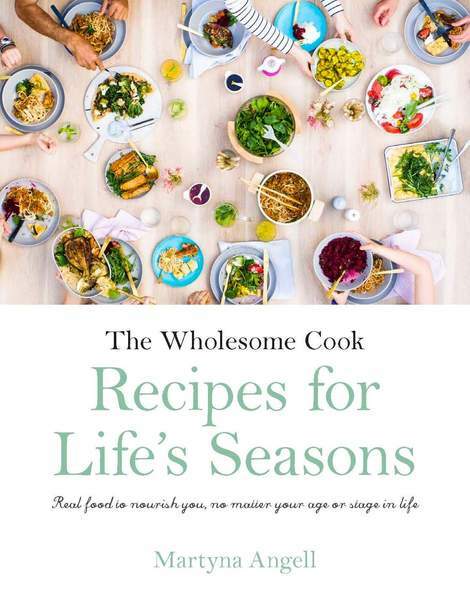 This looks great – thanks for tweeting the link to me. I’m looking for new stuff to cook as I’ve ditched meat from my diet, but decided to stick with seafood for the boy’s sake/cooking ease.